PRICE IS PER PERSON Total Duration: 2 hours This combined tour is available daily from April 1 till October 31 except Mondays. Minimum 2 people. Recommended for travelers with limited time in Český Krumlov. 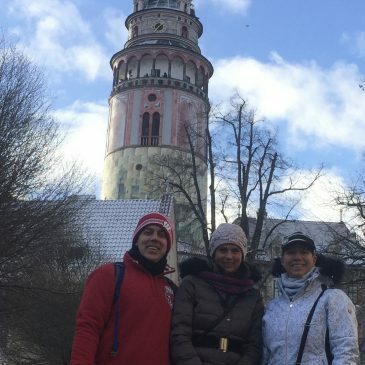 Start with Old Town Tour (PRIVATE TOUR 1 HOUR) at Svornosti Square and continue with the English tour inside the Cesky Krumlov Castle Residence (GROUP TOUR 1 HOUR). 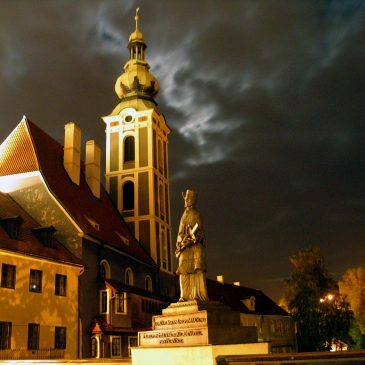 Meet at Infocentrum Tourist Office: Namesti Svornosti 2 in Cesky Krumlov Looking for something else? Send us a request here. 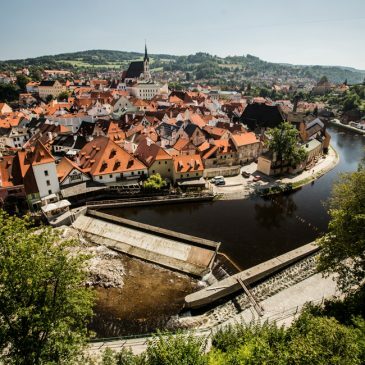 If you wish to go beyond the experiences of an usual visitor to Český Krumlov, take this hiking tour. The best is to stay overnight and take this tour early morning before the crowds hit the city. I promise we meet lots of locals doing the same exercise as a daily routine. Meet your guide at the place of your stay in Cesky Krumlov. Take a walk around the Old Town viewpoints and head to Krizovy Vrch hill. First climb takes us through picturesque castle courtyards to reach the connecting bridge between the palace and the Baroque theatre area. Here we enjoy the stunning views of the old town and the Vltava river meandering through relatively flat area down the old town. We continue up to the castle gardens with a stop at view terrace just at the top gate to the castle. The journey continues down to the village of Plesivec along the old former fortifications. 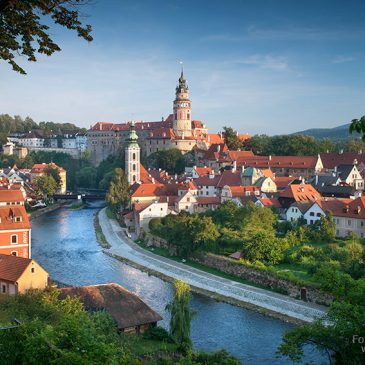 Here you can immerse yourself into quite part of Český Krumlov where local people live. We cut through the outskirts of the old town park side along the Vltava river with stunning views of the former Fisherman street and with St. Vat church, House of Prelate and former Jesuit School just over the river. Over the street we turn up to former synagogue and climb down the river around Egon Schiele's summer house to cross the Vltava river and start climbing up to Krizovy arch while enjoying quiet neighborhood of Horni Brana district. After some 20 minute steep hike up to "Krizak" as locals call the hill with 18th century chapel we can enjoy breathtaking view of the Český Krumlov castle, old town and the surroundings of Blansky les highlands. We are only 20 minutes from the Český Krumlov old town square yet feeling as being in the middle of nowhere surrounded by meadows and forest few steps away. On the way back to the old town, we follow Jesus Christ stations of the cross monuments to finally reach the highlight of Český Krumlov view points - the former Jesuit Seminary garden. Our hike ends at Svornosti Square, right in the heart of the old town.